300 people in our community are currently praying with you. As we trust God to give us wisdom for today's decisions, He will lead us a step at a time into what He wants us to be doing in the future. Now I would remind you, brothers, of the gospel I preached to you, which you received, in which you stand, and by which you are being saved, if you hold fast to the word I preached to you — unless you believed in vain. For I delivered to you as of first importance what I also received: that Christ died for our sins in accordance with the Scriptures, that he was buried, that he was raised on the third day in accordance with the Scriptures, and that he appeared to Cephas, then to the twelve. Then he appeared to more than five hundred brothers at one time, most of whom are still alive, though some have fallen asleep. Then he appeared to James, then to all the apostles. Last of all, as to one untimely born, he appeared also to me. 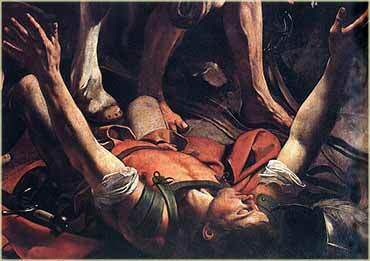 For I am the least of the apostles, unworthy to be called an apostle, because I persecuted the church of God. But by the grace of God I am what I am, and his grace toward me was not in vain. On the contrary, I worked harder than any of them, though it was not I, but the grace of God that is with me. Whether then it was I or they, so we preach and so you believed. Follow, for a minute, what Paul is saying here. He is reminding the church of Corinth — and us — of how they (and we) came to receive the good news of Christ. After Christ was resurrected, He appeared to a number of people, so that they could directly witness the fact of His resurrection and testify about it to others. Paul actually recounts an incident not in the Gospels, where Christ appeared to a large group of followers, he appeared to his apostles (both several individuals and as a group). But Paul was the odd man out; Christ appeared to him (although not in his human form) when he was still a heretic, and in fact the worst kind, a member of the faction that actually killed Him, in the very process of rounding up Christ's followers for persecution. Unlike the other witnesses to the resurrection, Paul was not a believer — far from it. He, and only he, was converted by Christ Himself after His death. Having an oddball or black sheep picked by God for a special purpose happens often in the Bible. In fact, those chosen by God for a special purpose in advancing His message are rarely those one would expect: a younger son, the youngest of twelve sons, a widowed daughter-in-law, a baby abandoned in a basket on the Nile, children born to barren old women. Like them, Paul is the unexpected choice, the "untimely born" whom Christ recruits as his greatest missionary, speaker, and writer. So why him, and not one of the apostles or many disciples who followed Christ in His lifetime? Because Paul is like us. He received the Word from a Christ he never saw. 1 Corinthians 13:11 (KJV): When I was a child, I spake as a child, I understood as a child, I thought as a child: but when I became a man, I put away childish things.